Today’s game isn’t technically a retro one, considering that it came out in 2017, but it is a modern interpretation of a classic game that I played back in the day. I wrote about the original WipEout in a previous Retro Respawn article a while back, and it’s a big part of video game history. WipEout was a huge hit for Psygnosis back in the day, enjoying great sales on the PlayStation and also a reasonably successful port to the SEGA Saturn. 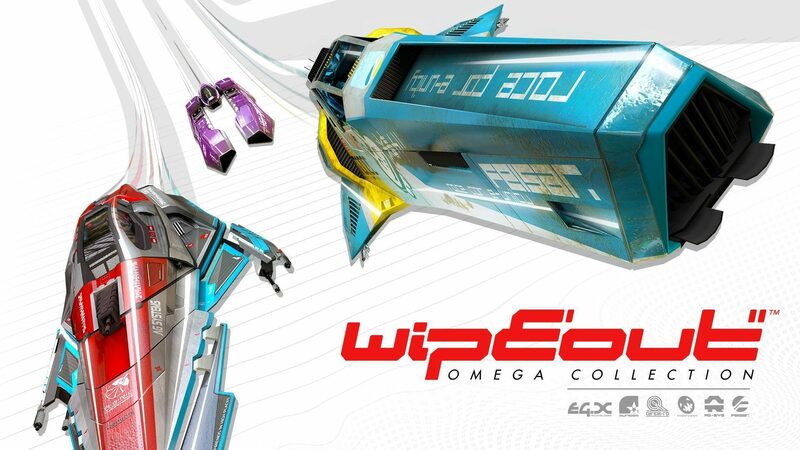 The game saw many sequels throughout multiple console generations, with the recent Omega Collection being the first to hit the eighth gen.
Omega Collection is actually a remaster of two previous WipEout games, specifically WipEout HD and WipEout 2048. 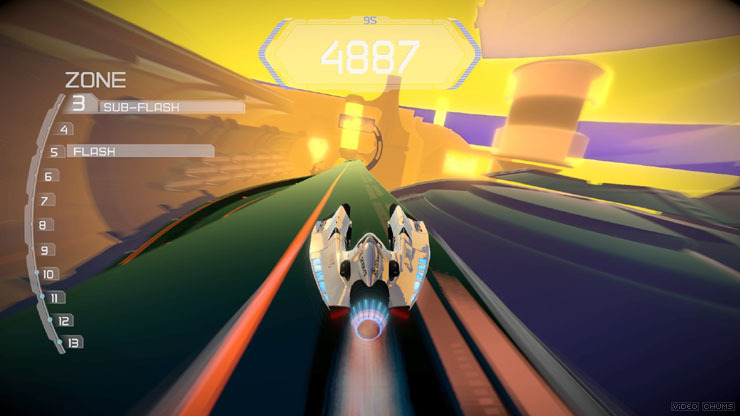 WipEout HD (and its Fury expansion) had seen a release on the PlayStation 3, whilst 2048 was released on the VITA. Due to not owning either of those consoles, I can’t really comment as to how different the games look on PlayStation 4 when compared to the originals. What I can confidently state though is that Omega Collection on PlayStation 4 looks absolutely fantastic. The anti-gravity ships that you race in are well detailed and move smoothly along the race courses, with jets of lights blazing out of their exhaust ports. The courses you race in look positively amazing, with lots of rich and sumptuous colours on show, along with lots going on in the background. The only criticism you could lay would be that the audience members watching in the stands look a little bit static, but aside from that minor quibble, Omega Collection looks the dog’s unmentionables and is a real treat for your grateful retinas. Not only does Omega Collection look great, it also plays enjoyably as well, with each race feeling different from the last due to the unpredictable CPU racers and the general treachery of some of the courses. Pressing “X” on the PlayStation 4 pad will make your ship accelerate, with the L2 button providing a left brake and R2 providing a right brake. 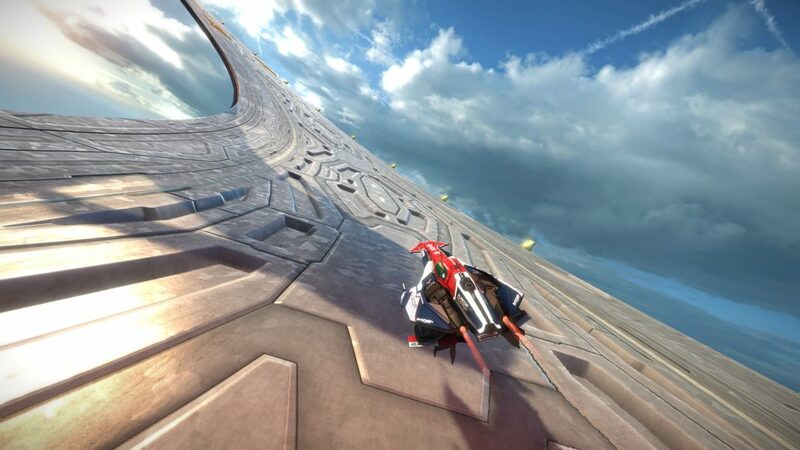 Hitting either L2 or R2 twice in quick succession will allow your ship to dart horizontally in that direction, which helps with swerving out of the way of other racers, as well as sneaking past obstacles on the course. This can lead to some last minute skin of the teeth moves that can earn you that extra second of time you need in an important race. 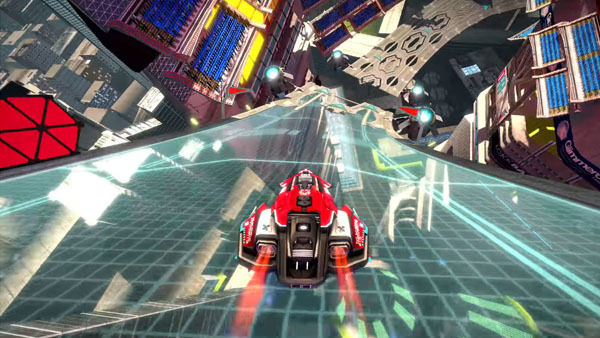 You are given a choice of numerous different racing teams, five for WipEout 2048 and a whopping 14 for WipEout HD, each with their own selections of ships. Most of the ships will require unlocking via completing challenges in Campaign Mode or winning standalone races in Race Box Mode. Each team has a loyalty bar that will increase every time you race with them. The higher this loyalty bar gets, the more ships you can unlock for that team. 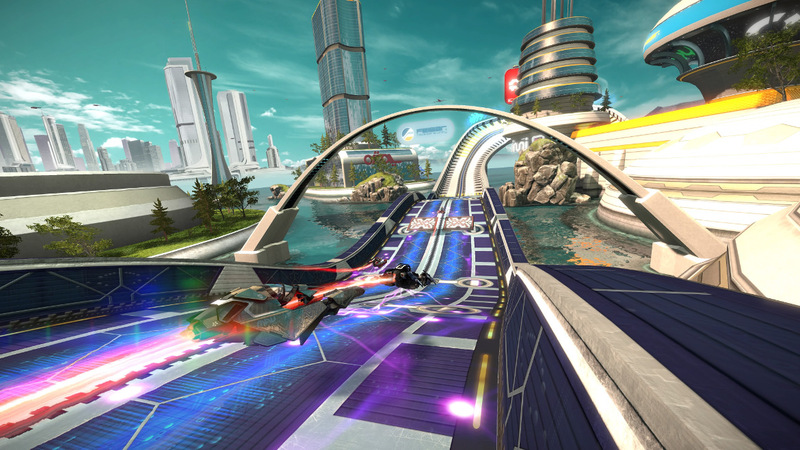 I spent most of my time racing for Feisar in WipEout 2048 and Assegai in WipEout HD, mostly because their ships usually had a good combination of speed and handling, which made them best for straight up racing. As with the original WipEout on the PlayStation and Saturn, power-ups and assorted weapons can be found on each course. These can range all the way from a device that allows you to leach energy from a rival racer to homing missiles that will blast them out of your way. Your ship comes with an energy bar that will dwindle throughout the race every time you get hit with a weapon from a rival racer or smash into the scenery. Once that bar reaches zero, your ship will explode into numerous broken pieces, and your race will be over. However, you can choose to absorb your power-ups by pressing circle on the controller, which will cause your energy bar to fill up slightly and stave off an unwanted explosive end to your race. There’s plenty to do in Omega Collection from a single-player perspective, with Campaign Mode giving you a selection of challenges from both WipEout 2048 and WipEout HD, as well as the Fury expansion for HD. 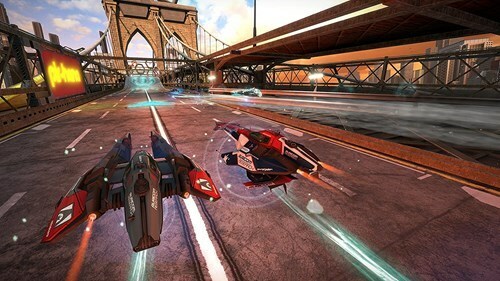 Completing challenges can unlock additional ships to race with, and the challenges range from single races to tournaments, and from time trials to battle races where the winner is the first person to reach a particular score by using the weapons to shoot down the other racers to earn points. In the battle races, your ship will respawn if your energy bar reaches zero, but you will lose points in such a scenario. Campaign Mode is not only challenging but also offers a nice variation of race types, so it never feels too monotonous or samey. You can also head straight into any race type you want by selecting Race Box Mode, which gives you a choice of both games included in the Omega Collection along with all of the race variations. 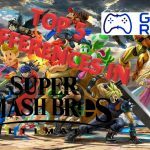 This will also give you a chance to play local multiplayer, which is oodles of fun and well worth bringing some mates round for some high octane racing action. 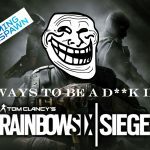 And once your friends have bogged off home, you can then head to the realm of the internet for some online multiplayer. Playing online is just as smooth as playing offline, with negligible slowdown and generally plenty of people to race against (although your options outside of the European servers might be a tad slim). Overall, I loved playing WipEout Omega Collection, so much so that it’s been my go-to game of choice over Christmas, despite the fact I’ve also had Red Dead Redemption II to play as well. As enjoyable and engrossing as RDR2 has been thus far, I just kept finding myself returning over and over to Omega Collection. It really does deliver everything you’d want from a modern iteration of the classic series, and it gets a strong recommendation from me!